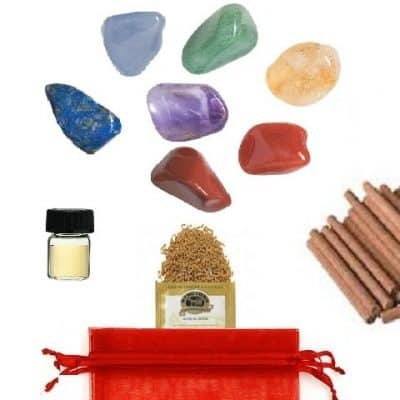 The Aura Crystal Cleanse Kit utilize the colors of the aura and provide a guide in understanding our emotions, consciousness, energy processes and centers. 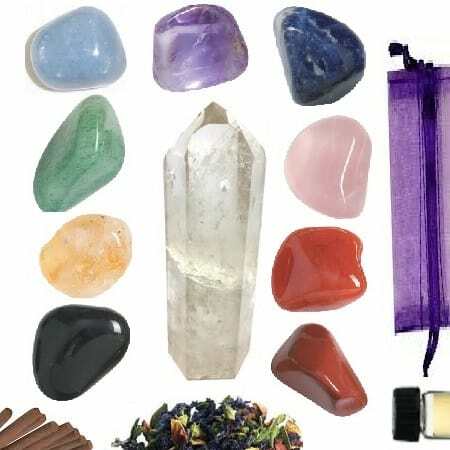 This kit includes 10 color healing stones coordinating to the seven energy layers of the aura system as well as One quartz point to complete the total aura balancing techniques. 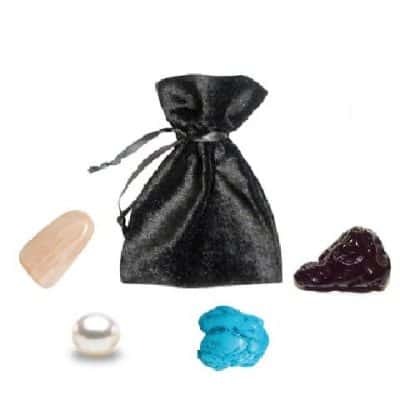 All come smudged (blessed), in an organza gift bag, with complete instructions, aura-color therapy cleansing tips, and healing information on each layer of the aura from touch to meditation, breathing to toning and much more. 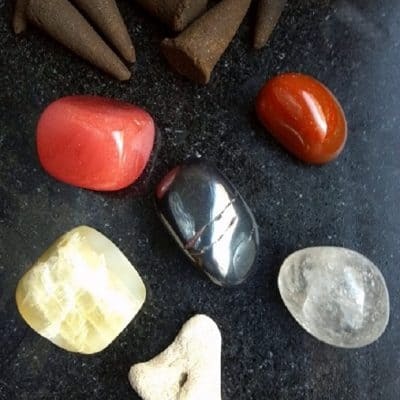 There are two stones which can be interchanged for the Etheric and Astral levels of the Aura or used as stones outside the Ketheric boundaries of the auric field. 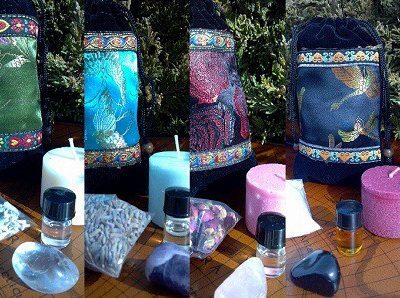 This kit also contains a sampler of our *new* Aura-luxe perfume, one of our Aura herbal tea samples and aura stimulating incense.